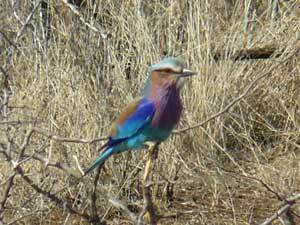 We spent 2 nights at Pretoriuskop Camp in the South West of the Kruger National Park and spent our days in the park driving around looking at animals and birds. 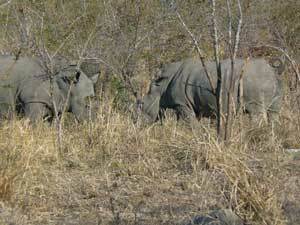 We were very lucky with the variety of wildlife that we saw. 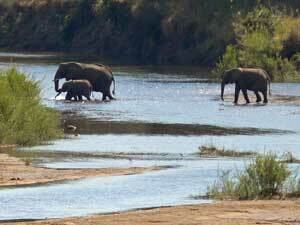 Many of the animals were close to the Sabie River or the waterholes. 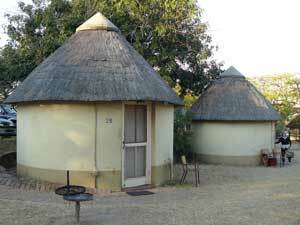 The rondavals at the camp were comfortable and we had a braai each evening. 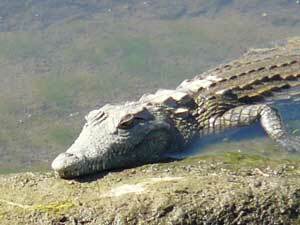 There were plenty of crocodiles sunning themselves on the river banks. 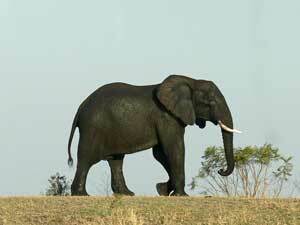 We were lucky enough to see several groups of elephants some of which had youngsters in the herd. This old bull was by himself and had just had a good bath at a waterhole. 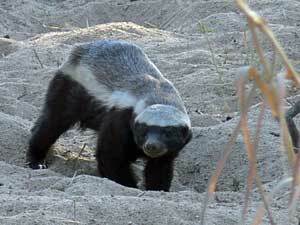 Honey badgers are nocturnal so we were very lucky to see this one in the daytime. 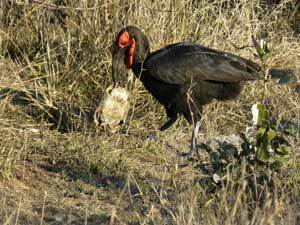 This ground hornbill had got a tortoise and used its strong beak to get inside the shell. 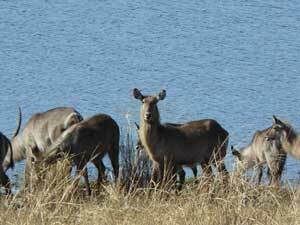 We watched this group of Waterbuck at a waterhole for at least half an hour. 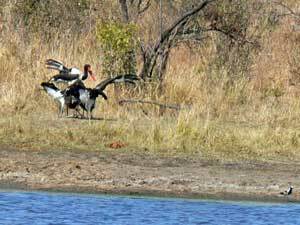 On the opposite side of the waterhole a saddlebilled stork was busy feeding her 3 youngsters. 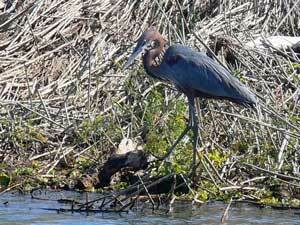 The goliath heron is the largest heron at nearly 150cm tall. 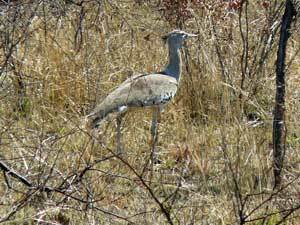 A kori bustard, nearly as tall as the heron, can be found in the bush. 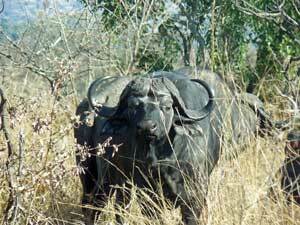 ....and the buffalo at the side of the road. 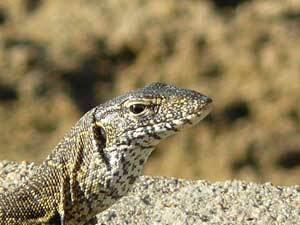 A lizard sunning itself on a bridge. 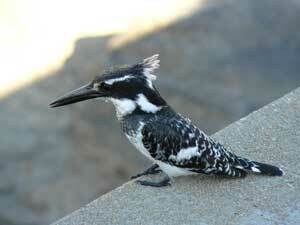 This pied kingfisher used a bridge as a look-out point. 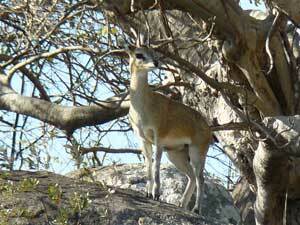 A Klipspringer in its favourite place - a rocky outcrop with a view. They are one of the smallest antelope in the park. Do you know the difference between an antelope and a deer? 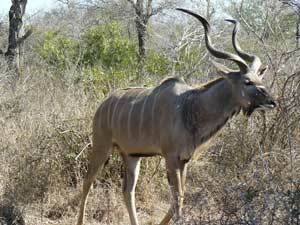 Kudu are usually shy but in the Kruger they are now used to vehicles. 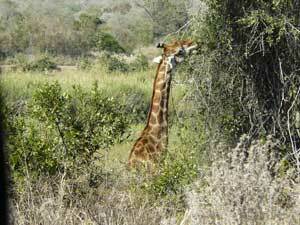 It's amazing how something the size of a giraffe can disappear into the bush. Lilacbreasted rollers are one of the most colourful birds. They perch prominently on trees on the lookout for insects. 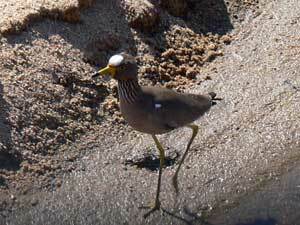 Wattled plovers can be seen by water in dams and streams in the park - they can be noisy when agitated.